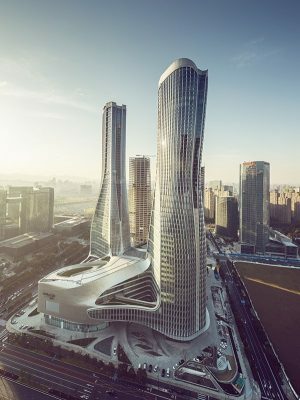 Mon 18th September 2017 – Designed by Ben van Berkel / UNStudio, CapitaLand’s new Raffles City is a sustainable urban hub for living, working and leisure located in Hangzhou, one of China’s most picturesque cities. 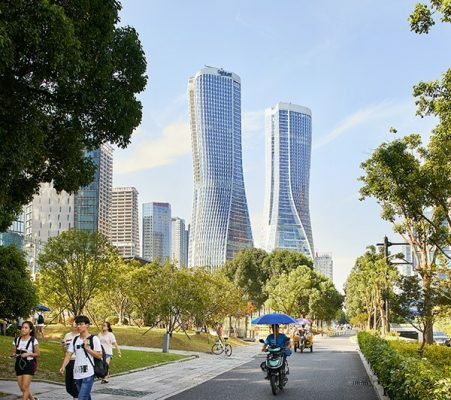 It forms the eighth Raffles City development in China. 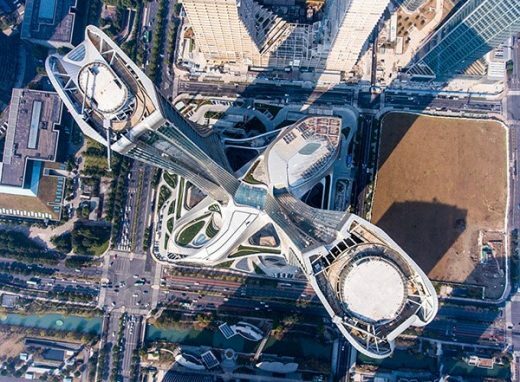 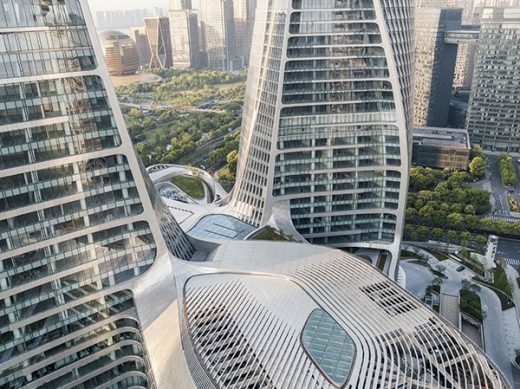 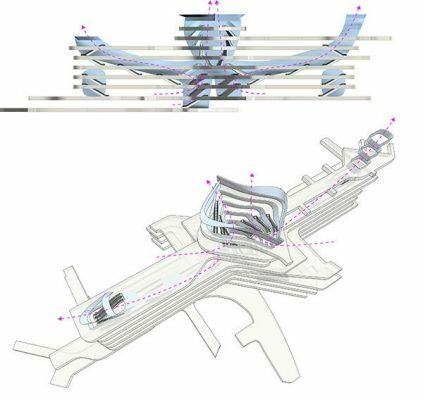 Raffles City Hangzhou from UNStudio on Vimeo. 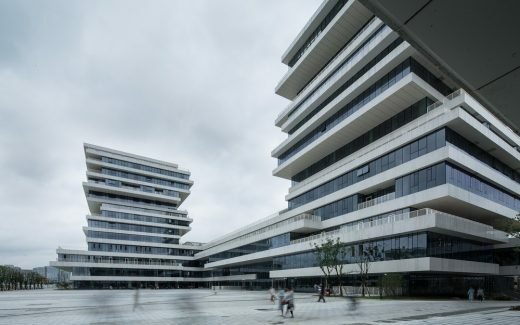 The building is designed with a carefully considered mix of programmes – like those found in a good city – that bring together a wide range of users. 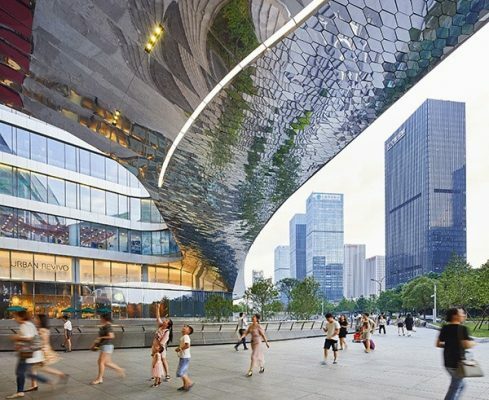 Besides working and living at Raffles City, people can stay at the hotel, or pick up groceries, enjoy a meal, do exercise, watch a movie or even get married there, all in one interconnected environment. 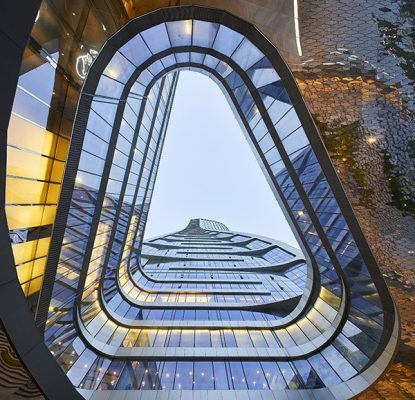 Raffles City Hangzhou has achieved Gold LEED certification. 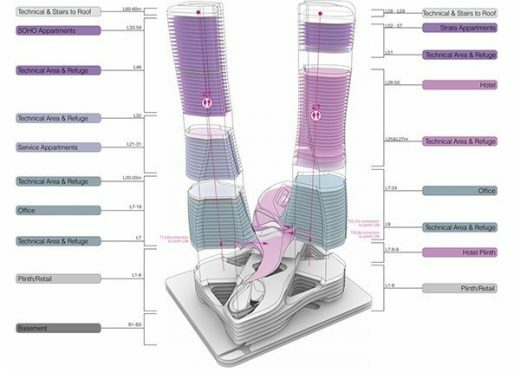 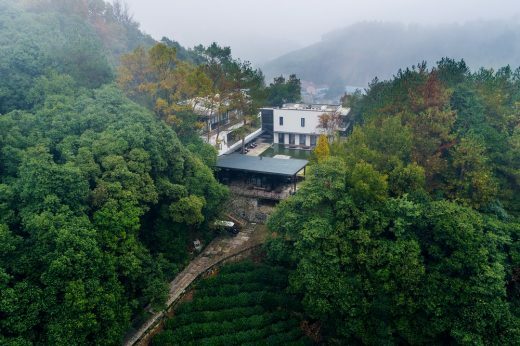 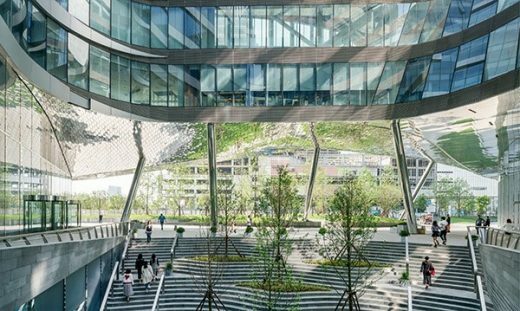 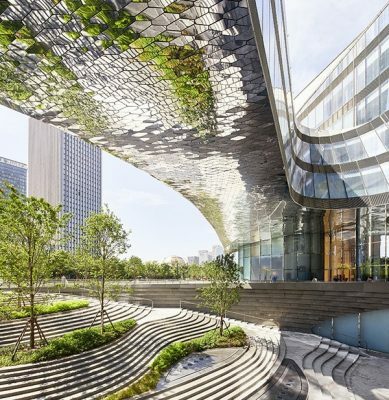 An inclusive approach to sustainability is integral to UNStudio’s design philosophy. 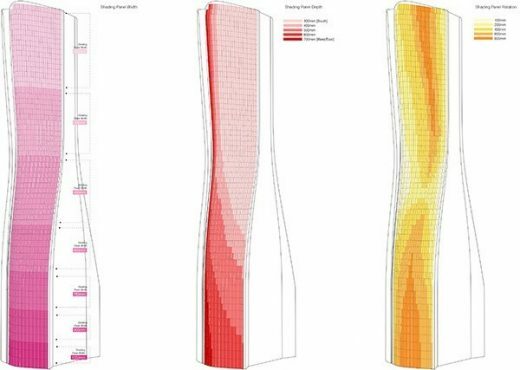 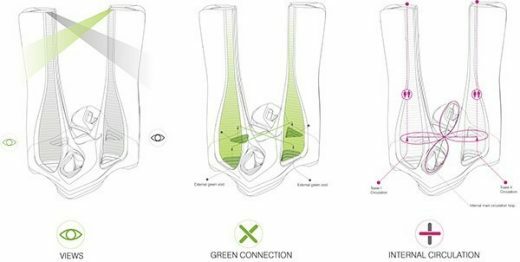 The incorporation of natural ventilation, solar gain and daylighting principles tailored to the local context, efficient structure and the ways in which materials are employed all work in concordance with one another to lower the energy and material demands of the building. 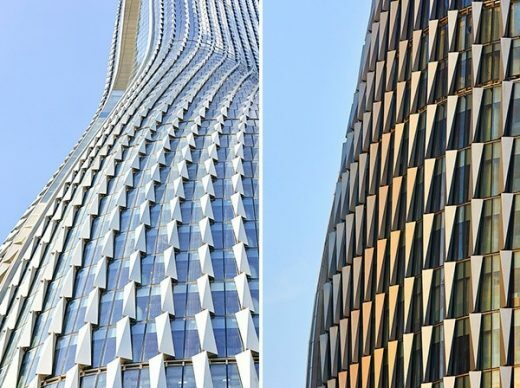 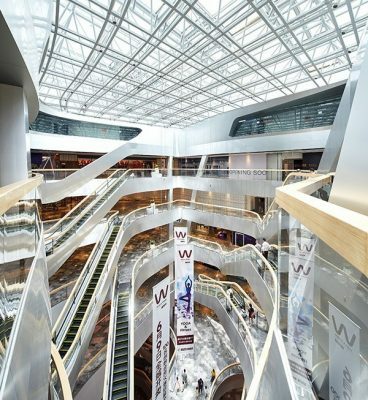 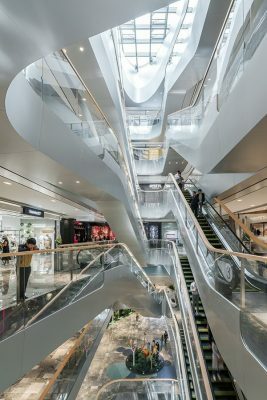 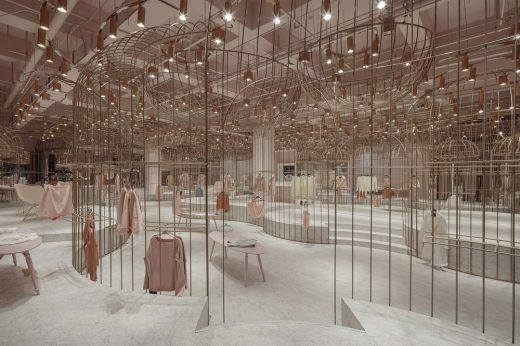 Raffles City Hangzhou is the first retail mall in China to use natural ventilation on a large scale. 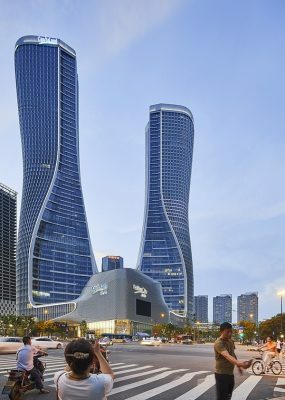 CapitaLand is one of Asia’s largest real estate companies. 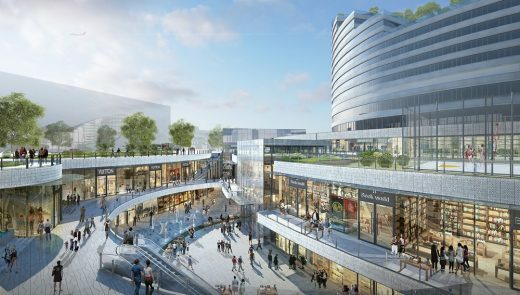 Headquartered and listed in Singapore, it is an owner and manager of a global portfolio worth more than S$80 billion as of 30 June 2017, comprising integrated developments, shopping malls, serviced residences, offices, homes, real estate investment trusts (REITs) and funds. 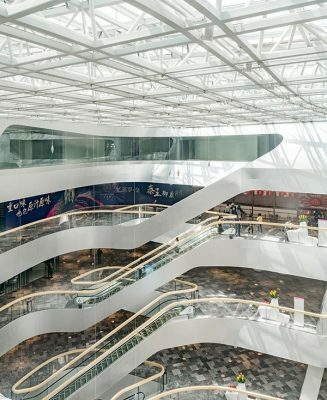 Present across more than 150 cities in over 30 countries, the group focuses on Singapore and China as core markets, while it continues to expand in markets such as Vietnam and Indonesia.